It’s no secret that space is the ultimate commodity in Hong Kong. Even those with plenty of disposable income have to make certain concessions when it comes to their living arrangements. 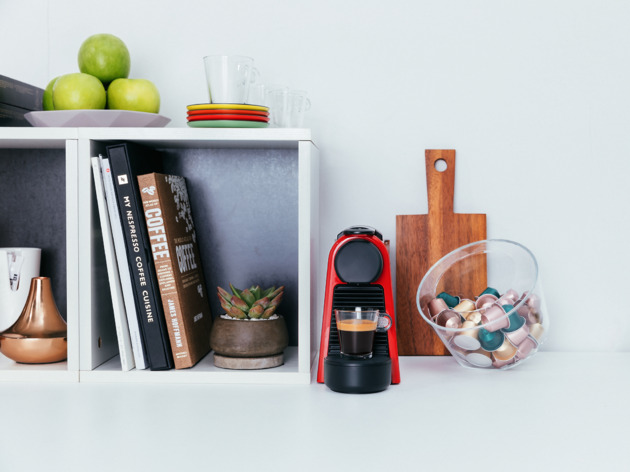 As such, it seems like a fantastic pipe dream to be able to make quality coffee at home without investing in a huge kitchen to accommodate a sizeable machine capable of providing superior coffee. 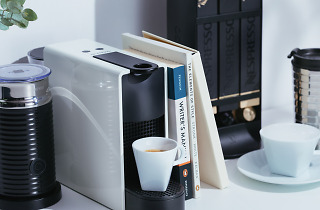 Enter Nespresso’s Essenza Mini. 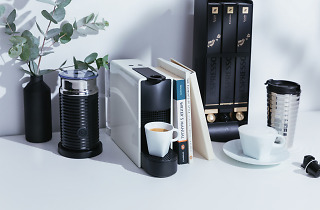 Weighing just 2.3kg, and barely taking up more space than a biscuit tin, the new Essenza Mini is Nespresso’s smallest coffee machine to date. 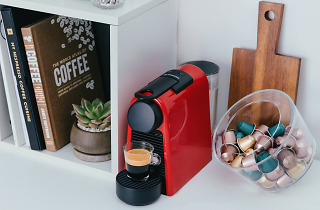 Don’t think that this means Nespresso has compromised on quality – this little machine is big on style, affordability and efficiency. 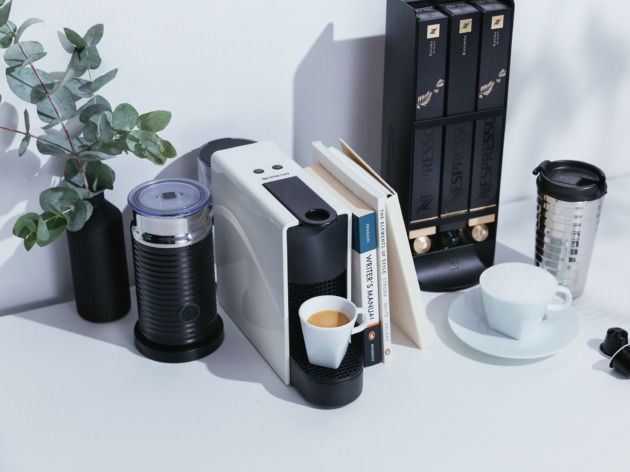 It delivers the perfect cup at home for Hongkongers who are sick of having to venture out and overpay for a distinctly average cup of joe. 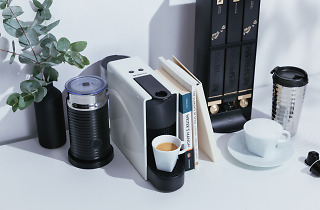 A looker, the Essenza Mini is available in two distinctive, attractively designed shapes and a range of four colours. 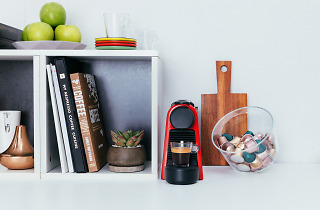 The machine has a customisable aesthetic fit for any kind of kitchen. 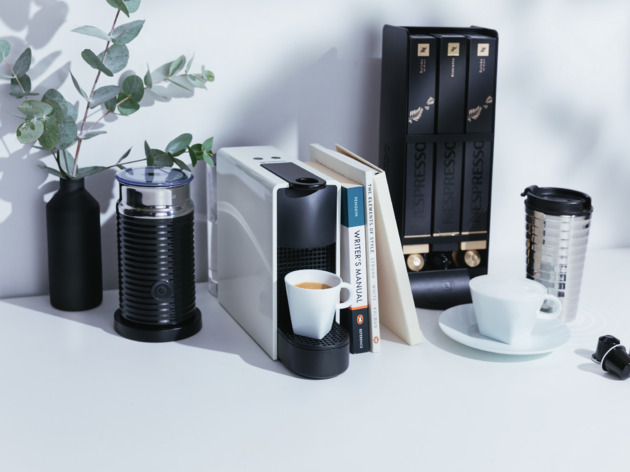 If you want to maintain a sense of minimalist chic, pick up the standard rectangular Essenza Mini in piano black or pure white. Alternatively, if you want to have a bit of fun when arranging your kitchen, you can opt for the quirky triangular shape in ruby red or lime green. 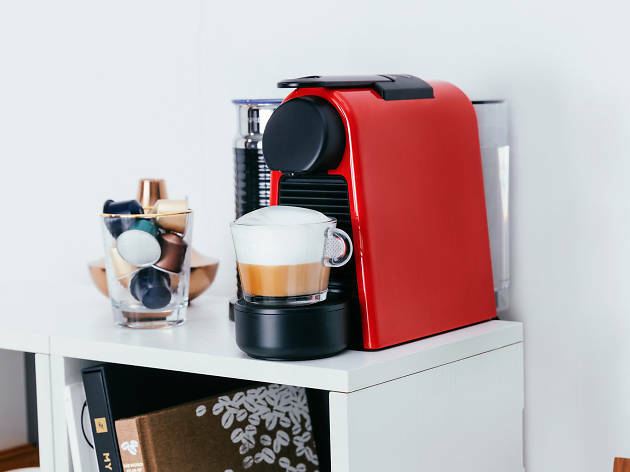 In fact, the Essenza Mini’s design and colour schemes are so versatile, it could just as easily live happily in your bedroom or living room as well as your kitchen! 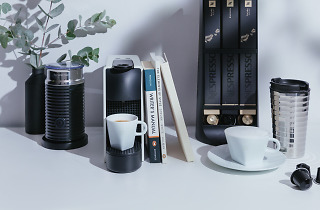 When it comes to features, the Essenza Mini is a smart machine with two programmable cup size buttons, delivering luxurious coffee in seconds. It’s also a machine that chips in with the electricity bill, entering low energy mode after three minutes of inactivity and automatically switching off after nine minutes of inactivity. Sound good? 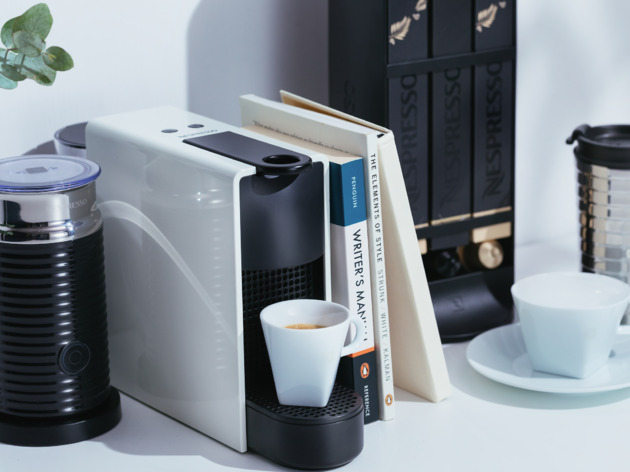 Well, best of all, the new Essenza Mini is also Nespresso’s lowest priced machine yet, available for an outrageously reasonable $988. 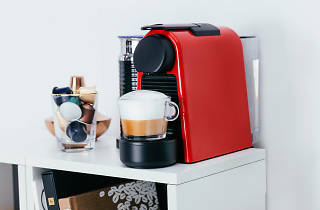 And, until August 6, you can grab a complimentary Aeroccino 3 Milk Frother when purchased together with an Essenza Mini machine and 20 Grands Crus sleeves (10 capsules per sleeve). 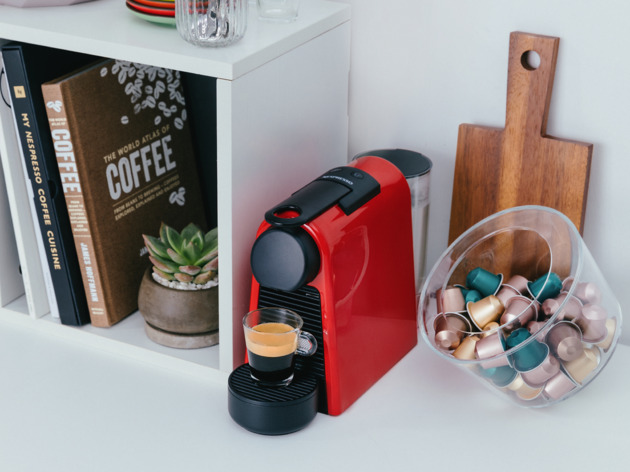 There’s a huge range of options for Nespresso machines if you’re looking to take the leap and start enjoying premium-level coffee at home. 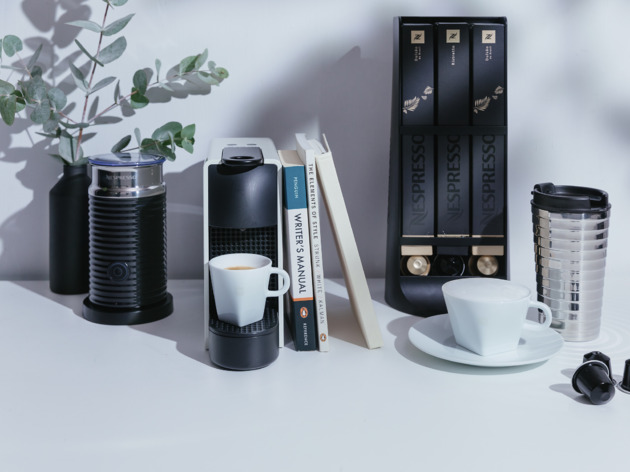 And there’s never been a better time to get on board, with Nespresso Hong Kong lowering the prices of all their coffee machines, enabling even more coffee lovers to see what all the fuss is about!